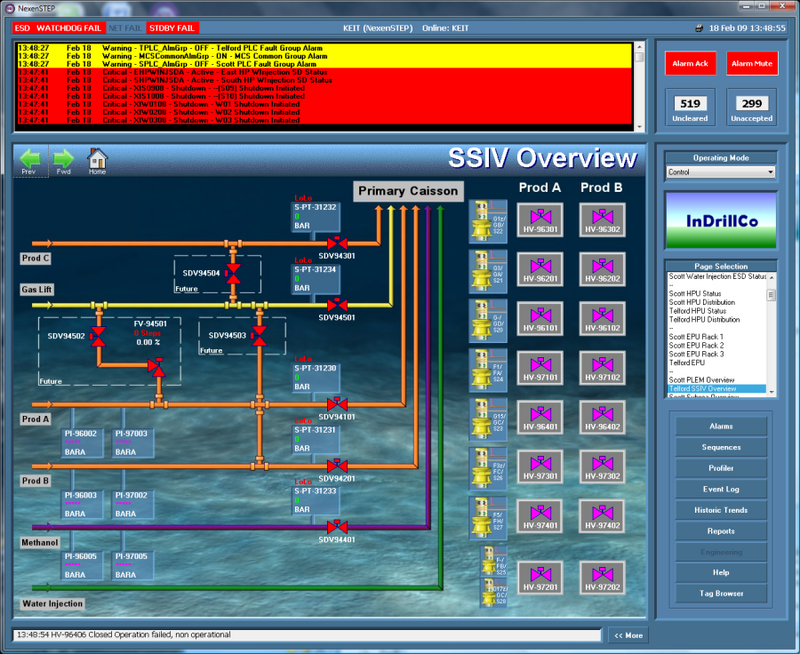 The oil, gas and chemicals industries utilize VTScada’s event-driven execution, on-line configuration, and real-time field data management to support their systems. 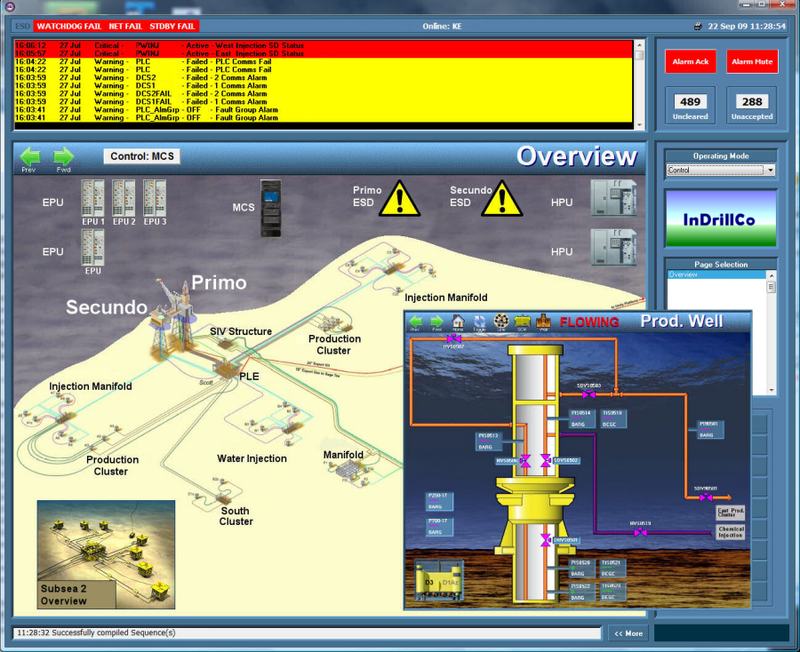 Of critical importance, in most of these SCADA systems, are the standard features that include alarms management and emergency response, communications over a variety of mediums, redundancy at all points in system, trend analysis, and remote system access. The powerful scripting language also allows graphing of pump curves. The process of getting oil and gas from the well head (production source) to the refinery (processing facility) and ultimately to the consumer usually requires a large infrastructure of pipeline networks. The advances made in oil and gas distribution SCADA technology have significantly reduced the cost for remote telemetry devices and the communications infrastructure required to retrieve data from these devices. This in turn allows operators to remotely monitor, control and optimize their distribution network. With the current high price of oil, marginal oil field developments are now becoming viable. This has led to a dramatic increase in the number of subsea developments in both shallow and deep water environments. 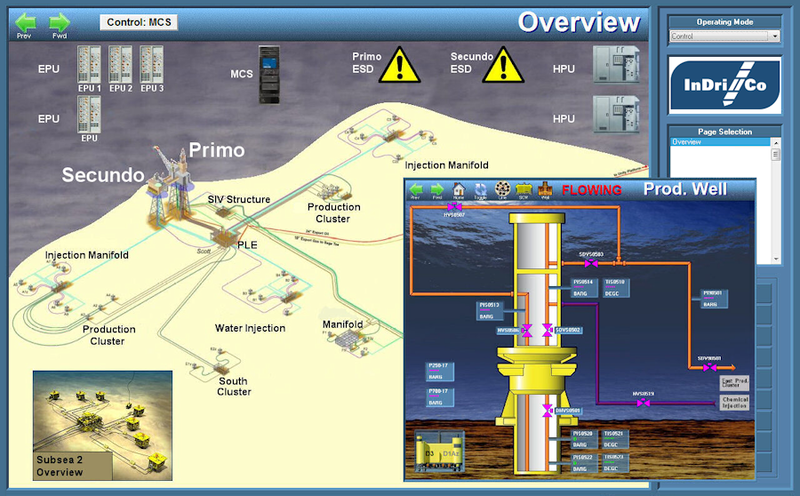 Subsea production systems can range in complexity from a single satellite well with a flow line linked to a fixed platform, Floating Production Storage & Offloading (FPSO), or an onshore installation, to several wells on a template or clustered around a manifold, and transferring to a fixed or floating facility, or directly to an onshore installation. A Permanent Downhole Gauge (PDG) is a pressure and/or temperature gauge permanently installed in an oil or gas well. Typically, these are installed within tubing in the well and can measure the tubing pressure and/or the annulus pressure. The data provided from the downhole gauge are useful to reservoir engineers in determining the quantities of oil or gas contained below the earth’s surface in an oil or gas reservoir, especially in the first few minutes or hours of production of the well. This allows the well to be efficiently managed and optimized for maximizing production over the lifetime of the well. This refers to the use of artificial means to increase the flow of liquids (typically crude oil) which is achieved by the use of a mechanical device inside the well (a pump), or by decreasing the weight of the hydrostatic column by injecting gas into the liquid some distance down the well. Artificial lift is needed in wells when there is insufficient pressure in the reservoir to lift the produced fluids to the surface, but often used in naturally flowing wells (which do not technically need it) to increase the flow rate above what would flow naturally. 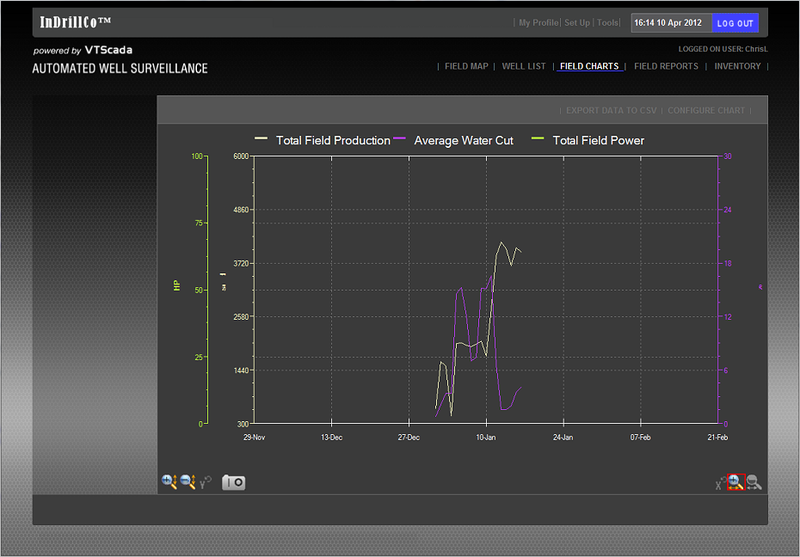 VTScada also provides hosted monitoring of production fields in the southern US, South America, and the Middle East. In addition, it is used for pipeline monitoring in a number of locations and controls the growth of algae (biofuels) in Asia.